How do you measure your podcast’s success? 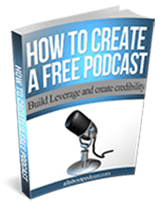 People enter into podcasting for many different reasons, goals, and purposes and so the question about the success of a podcast may vary from podcaster to podcaster. However, it cannot be denied that statistical data like episode numbers, downloads, subscribers, are some of the indicators we associate podcast success with. Some of you would probably say if you’ve reached a million downloads or if you’ve published 1000 episodes. But does the success of your podcast really just boil down to statistics? I think many podcasters have become so obsessed with statistics and all these numbers like downloads, subscribers, reviews, shares, retweets have overshadowed true success. Sometimes podcasting just end up as a numbers game, much like a basketball. Whoever gets the highest score, wins. Don’t get me wrong, a million downloads is a million downloads, and who doesn’t want to have that number as a trophy? I think it is best to approach this question on three fronts. The success of your podcast is undoubtedly dependent on your listeners. You simply can’t ignore the fact that without the listeners, your show will just be another frequency without an ear. You are podcasting for a target audience. Your avatar. You are podcasting to communicate to someone. And with every word that you utter, every sentence that you speak, you have an intended audience to reach out. Whether you are podcasting to inspire, educate, encourage someone to take action, your podcast is there for that target audience in mind. If you ask me personally what my criteria of a successful podcast is, I wouldn’t have second thoughts to say that one of the major component of a successful podcast is podcast reviews or audience feedback. Podcast reviews reflect a lot about you and your audience. No matter how great, or terrible your show is, your listeners know and the reviews will tell. And that’s what really makes it very important to ask your listeners to leave you a review. Rachel Rofe wrote some great tips to get more podcast reviews and I’d highly recommend that you check it out. Remember that your show is intended for a specific audience, and therefore, you can’t please everyone who listens to it. Sometimes it’s not really your bad, but the listener is just listening to a show that’s not really intended for them. Bad podcast reviews teach you how to be good. Have you received a review telling you how tired they were listening to your “you know’s” and ahh’ and uhhmms? Well, let’s face it, that can be really annoying. So take it in a positive light and learn how to get rid of those fillers and mannerisms. If you’ll go bitter on that kind of review (an honest review) then it’s to your own detriment. Don’t go the desperate route by paying for a podcast review. You are fooling nobody but yourself. I’m a podcast editor and I manage multiple podcasts and I know how difficult it can be for some of my clients to juggle between family, doing the interviews, all the effort and the expenses behind a podcast. And when we receive that one star review, it just seems unfair. Don’t they understand how difficult it is to get one episode all prep and ready to publish? Unfortunately, it’s not the effort that counts, it’s the quality. There are now hundreds of thousands of podcasts on iTunes and there’s no stopping to it. Everyday, podcasters are competing for ears. How are you using those reviews of your show to your advantage? Knowing your numbers is of vital importance not only to assess the different performance indicators of your podcast, but it will help you make the necessary improvements. Podcast statistics as well as rankings have been controversial because there have been no standards used by different podcast media hosts. But with the latest updates from IAB, and the emergence of podcast statistics standards, this will put an end to this controversy and will make podcast statistics much more uniform across different platforms and media hosts. 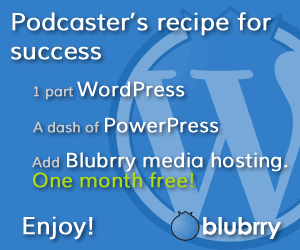 If you’re looking for a podcast media host that’s IAB Compliant, check out Blubrry Podcast Hosting. So where should you look for these statistics? You can most certainly find the statistics about your podcast on Podcasts Connect or iTunes podcasting dashboard. Your media hosting provider can also provide you this information. You can’t achieve podcast success in just one episode. And as you may have already seen or even observed, podcasting is like investing, you have to think long term. What you’ll need to focus then is to be consistent with your episode release and to keep on engaging your audience so you can better understand what they need and how you can serve those needs. It’s your turn, when do you consider your podcast a success?